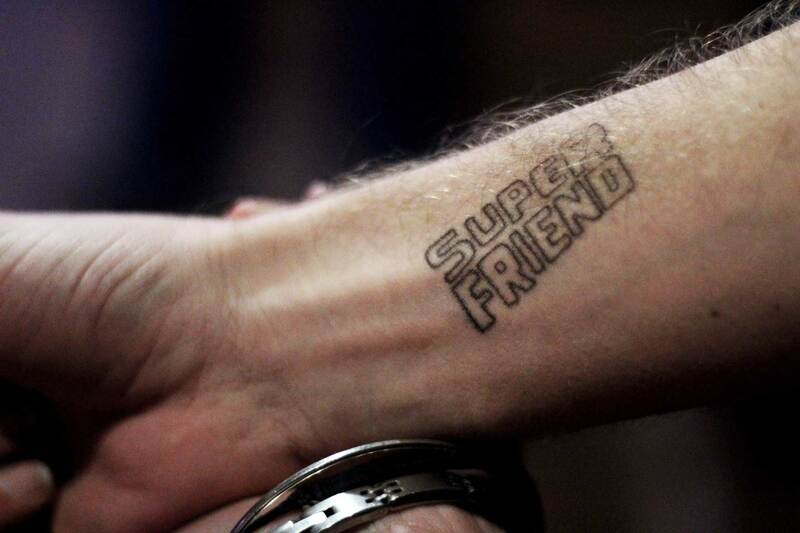 Yesterday Super Friendship Arcade unveiled some pretty massive news. In short, we’ve set up a new spin-off brand called Super Sellout Arcade. The brand has been designed as a vehicle to work with other people, moving beyond SFA’s strong DIY roots. We’ll be starting this new venture with a bang, and on Wednesday, fly up to Joburg to throw an Arcade inside the Heineken Next Level Bar, on Smit street, in Braamfontein. The installation will be open to the public, with free entry, on Thursday night. The announcement came out in the she form of an article on 10and5. The piece neatly sums up the core details, and if you’re in a rush, I’d suggest you head here and read that. If you have some time to kill, here’s my complete correspondence with writer, Dave Mann. Tell us a bit about Super Sellout Arcade and how it’s different from Super Friendship Arcade.It’s a spin-off. As SFA, we’re collectively working towards a pretty damn ambitious list of goals. 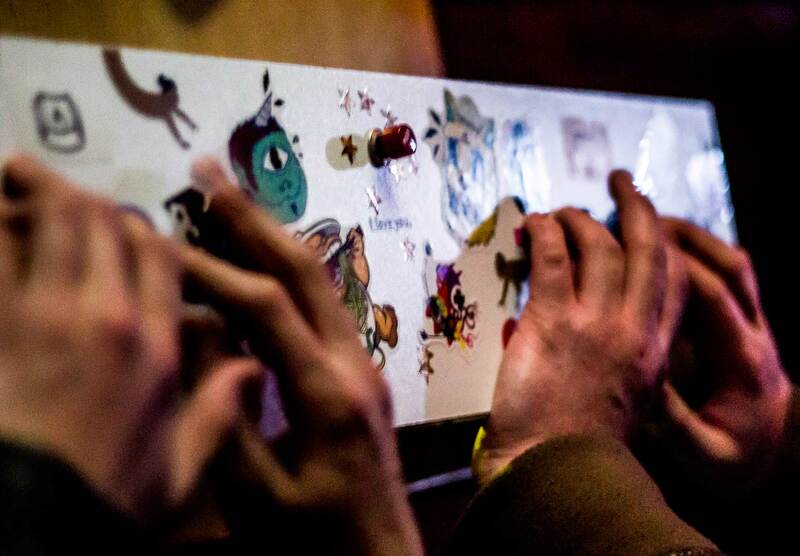 These include such fun things as; exposing experimental, unconventional interactive experiences, helping to grow more diverse game-playing and game-making communities, bringing people together (and pretty much saving The World) through the power of video games! While our goals are numerous, they’ve never included making money. If Super Friendship Arcade were to have a motto (after “Be excellent to each other”) it could well be “Passion over profit”. All earnings have gone back into the SFA, buying hardware and electronic components for us to build more things. Our community has collectively spent hundreds of hours making games and building hardware, and always done this only for the joy found in creating, and in instilling joy in other people. It’s been beautiful to see such powerful enthusiasm in action. We really feel that creating things fueled entirely by passion leads to the most honest, adventurous and sincere works of art. Coming from such a fiercely DIY background, it came as quite a surprise to find brands and agencies very eager to work with us. Over the last half of this year we received some very exciting offers to work with other people. While we were flattered by all the attention, and excited by the potential of having some real resources to work with, it created quite a bit of confusion. What would become of our punk rock baby if it were suddenly involved in helping to sell breakfast cereal and sneakers? The result of this dilemma was the birth of Super Sellout Arcade. Recognising the great potential for pushing SFA’s own agenda by collaborating with external entities, we set up SSA as a distinct body. We’re incredibly excited about creating new experiences on a far grander scale than we could manage alone. Additionally, we’re also really stoked on the idea of creators getting paid to spend their time making weird, experimental games and controllers – as in the past, there was no way of earning any money by making psychedelic, competitive cat petting simulators. Lastly, we also plan to filter some profits from SSA events back into SFA, empowering us to realise our own dreams on a scale beyond what we could typically achieve. That’s pretty much it! SFA and SSA are the same people, wanting to blow your mind. The one is 100% independent and DIY, while the other has some extra friends helping us make magic happen! You hosted your first event in Johannesburg a few months ago. How did it go? Are you excited to be returning to Jozi for another event?Our Arcade at the A MAZE festival was a very special moment for us. It was great bringing SFA out of Cape Town for a bit. We couldn’t have asked for a better way to make our debut in Jozi, than being part of something as awesome as A MAZE.We’re very stoked to be coming back in Braamfontein to throw another Arcade – that was one of the most exciting prospects of getting involved in the Next Level Bar! How do you go about finding new game developers? Can anyone bring a new video game to the table?We’re always hunting for exciting games people may have made, and will always be excited to hear from any developers making SFA-friendly creations. Can you tell us more about custom consoles? What are they all about and how are they helping open the next level in game development and interaction?We’re very big on the idea of giving arcade-goers totally new experiences, and one of the most awesome ways we can make that happen is through custom gaming controllers.For people who already identify as gamers, they’ve likely spent hours upon hours with traditional controllers in their hands. Suddenly forcing them to play a game with a tiny toy whale, totally changes the whole experience, even if the game itself is something familiar. Finger Twister is an SFA original that makes players battle over a collection of buttons on a shared custom controller. Kick In The Door is another local game made for SFA, and encourages players to kick doorways and ghost butts with a set of custom foot pedals. The hardware makes for a great thematic tie-in. As a bonus, it frees up the hands of it’s players – all the better for drinking beer and high-fiving your ghost-hunter partners with! 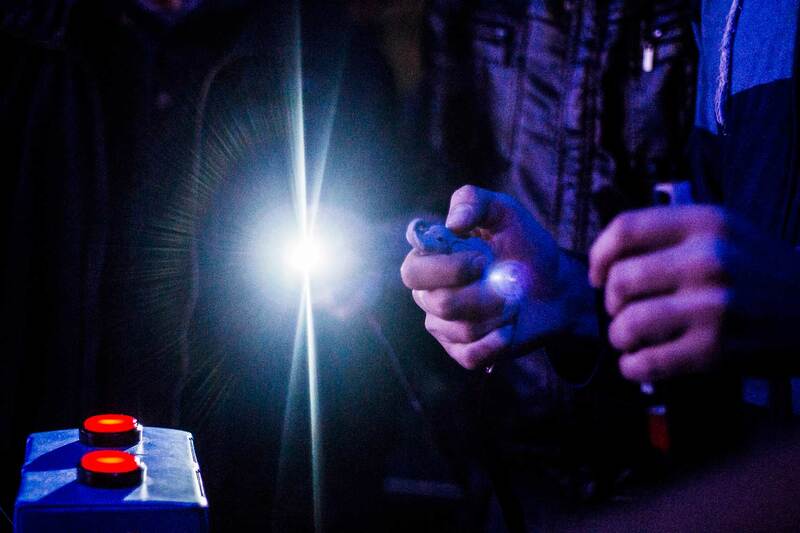 Robin Baumgarten’s smash hit Line Wobbler is a custom console that incorporates a wobbly joystick and an LED strip that acts as the games rendering device. You simply couldn’t play it with a computer and keyboard, and it’s amazing seeing people’s faces light up when they engage with something like that for the first time. 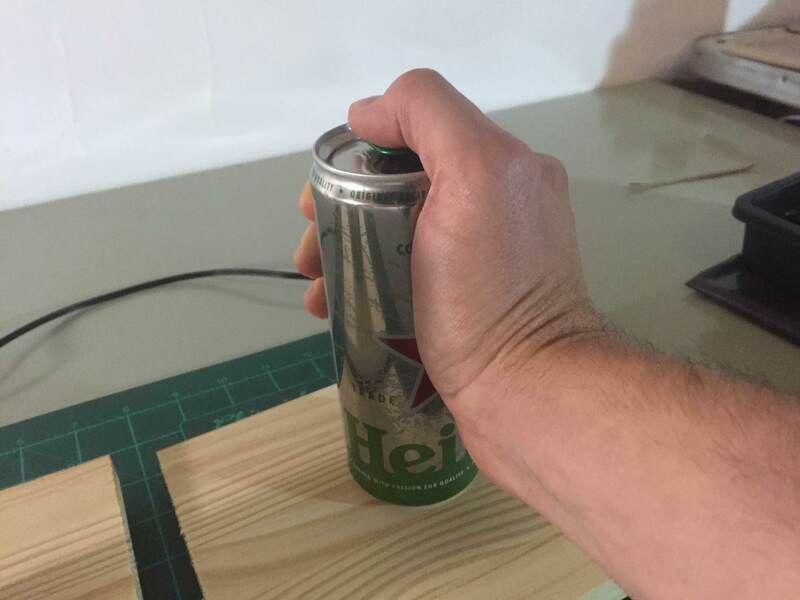 Tell us a little bit about the Heineken can consoles you’re making.I don’t wana ruin any surprises, but we recently held a little “Can Jam” where we played around with how we could use Heineken’s new “Cool Can” as a controller. The results, “The Tabanator” and “8 Pack”, are two machines that we’re really stoked with. We can’t wait to see people playing with them! And the Next Level disruptive game jamming? What’s that all about?For us, it’s something that’s evolving as we’re going along. The concept of game jamming isn’t one we came up with, but it’s something we’ve embraced with wide open arms. Traditionally, making a video game would be a very (VERY) time intensive process, where thousands of hours go into making a title. This is something of a necessary evil if you wanted to make very big or very polished experiences. Game jams swim against that tide. Jams happen in short, predetermined periods of time, typically 48 or 72 hours. Over a weekend or so, a small team will formulate an idea and take it from an initial concept to a completed, playable experience. This often includes eating pizza and sleeping very little. Working like this can be incredibly liberating, and very often the creative spark displayed in broken little jam games is far more unique and adventurous than the vast majority of retail games. People can really let their imaginations run wild, and potentially be absurdly risky or ambitious. If by the end of the jam your game isn’t great…well, it’s not like you spent 2 years making it. 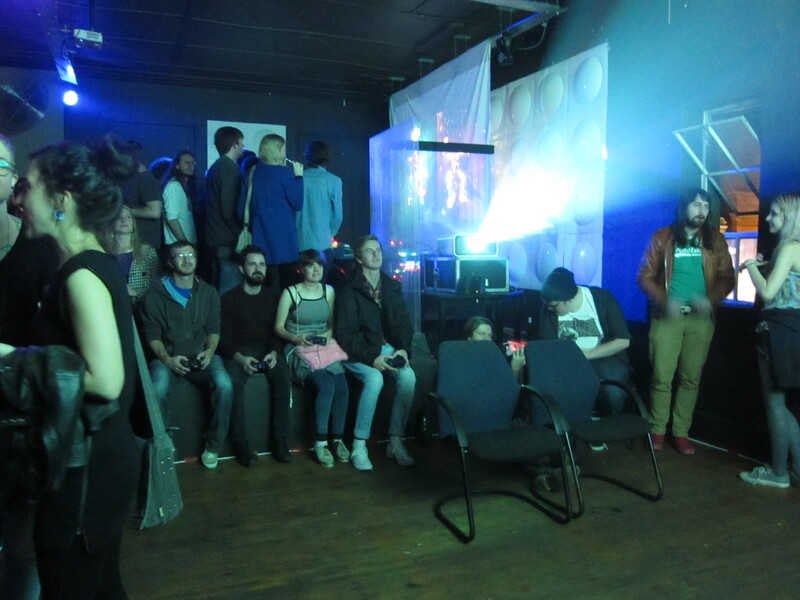 This is also a wonderful environment to inspire and encourage people who are new to making games. 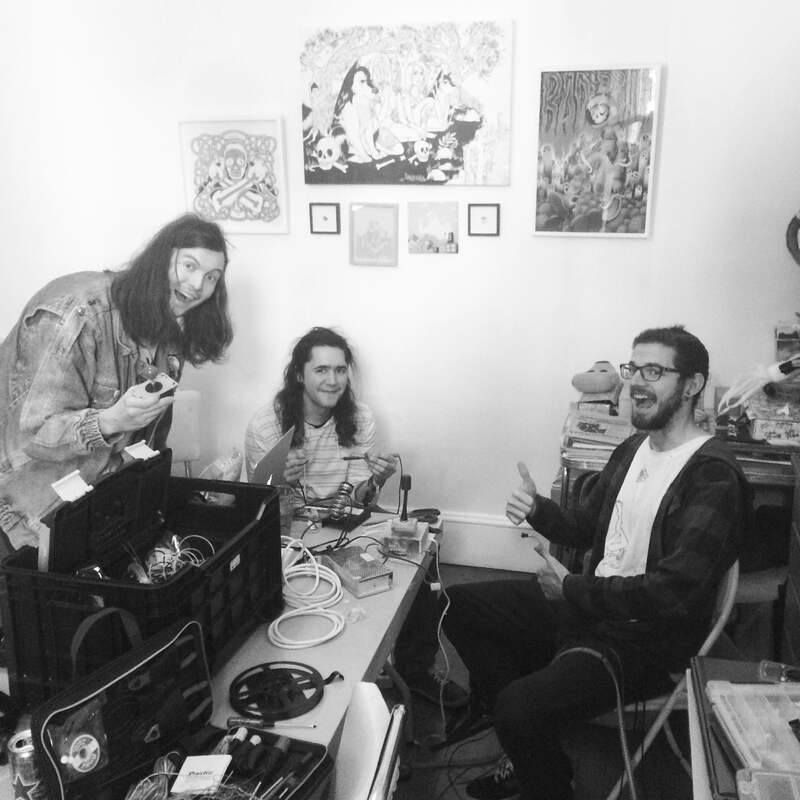 We like to see it as something akin to a group of musicians jamming together in their practice space, and we’ve made it a core part of how we do what we do. Before any event, we’ll hold a one-day jam, inviting anyone (whether pro game devs, or rookie enthusiast) to join us in making games for the upcoming party. We’ve had some great success stories; the afore mentioned Finger Twister and Kick In The Door were both born at SFA jams. And were excited to do heaps more, we’re always trying to be more inclusive, get more creative, and go bigger. What’s the game development scene like in South Africa?This is a bit of a tricky one to answer. As with most anything relating to this unique country, there are great highs, and then very depressing lows. One of our main motivations for doing what we do is to celebrate those highs, and help eradicate the lows.On the plus side, the local industry is booming. SA’s numerous success stories including titles like Broforce, Desktop Dungeons, Stasis, and Viscera Cleanup Detail have made very significant impacts. There are a bunch of great studios working on games, and a bunch of great people working at these studios. We’ll also point out that we’re very fond and proud of the SFA community, who represent a pretty ridiculously talented, creative and motivated bunch of game-making humans. But on the down side, there’s surely room for a lot of improvement. The demographic of people making games in SA is very depressingly unrepresentative of our country’s population. This is thankfully something that’s changing though, and we’re very motivated to help make that change happen. There are some other great projects shaking things up. DIY initiatives like The Amber Key Collaboratorium (a series of free game design workshops for girls), Creative Code (making coding and visual design more accessible through youth media, gaming and mobile phones in Khayelitsha) and 67games (a crazy massive collaborative jam project for Mandela Day next year) are really wonderful to see, and we hope there’ll be even more to come. Anticipating a more diverse and inclusive community in coming years; we can see South African becoming one of the most exciting emerging game design hubs. Video games are still seen as having very select target markets such as die hard gamers or kids. Why do you think this is the case?Although annual studies by various bodies keep disproving them, it’s strange to see how much of this thinking continues. Many people do view games as been something for specifically for kids, or boys, or geeks. This really isn’t the case, and these demographics have shifted drastically over the years. I don’t think the young gamers of today will have the same problem at my age. But for me growing up with games in the 80’s and 90’s there was a real division in who games were for, and that seems to have stuck in people’s heads.Maybe, in part, these perceptions are connected by the types of games that the mainstream industry produces? Many of these games revolve around male power fantasies, and even the most “adult”, violent titles are incredibly juvenile. Maybe society’s idea of who gamers are, is linked to the kinds of games they see advertised around them. That usually wouldn’t paint a very positive picture. 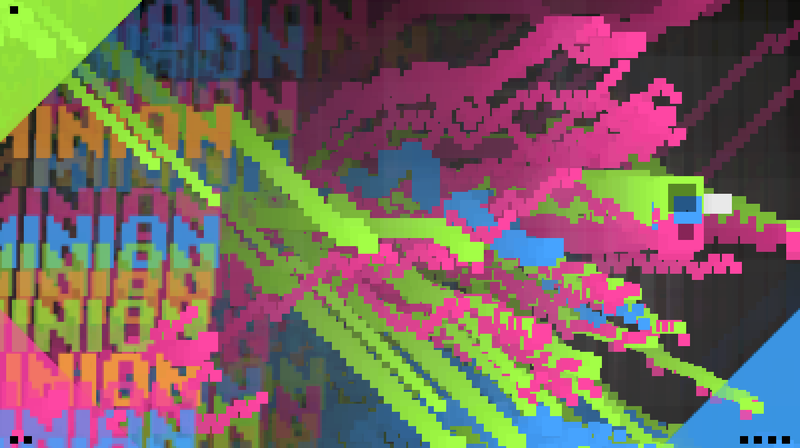 Thankfully, in The World right now, there’s a huge swell of people making games with incredible depth – hopefully, as we see more of these games gain major attention, it might change some perceptions in the process. We’re incredibly excited about sharing games like these with people and generally doing our damnedest to break down any guard that someone might have, thinking that video games aren’t for them. The games that see you interacting with people directly, such as digital playground games, seem to be hugely popular. Is this the next level of gaming or just a move towards a more inclusive and social form of gaming?I think they’re one and the same.There’s a phenomenal amount of exciting, next level stuff going on right now! There has never been a better time for people to elevate games as an art-form, and largely this is thanks to technological developments. That said, there’s also the element of people starting to think about games differently. In some ways, it’s going back to some forgotten wisdom. Nothing is better than sharing a game with other real humans, in the same space. Going forward, I think we’ll see greater interest in local multiplayer games. This move towards more social game design, coupled with constantly awe-inspiring use of technology, means we’ll only be seeing more and more awesomeness in this department. Is gaming just for recreation or can contemporary gaming be used for education or to enact change? We’re very firm believes in the later. There is a lot of research that supports this, and a ton of global projects that have utilized games as little learning machines. I mentioned 67games earlier – my girlfriend, Anja Venter, and our good friend Regina Kgatle are working on something very exciting there. I’ll start rambling if I get to into it, let me just say that anyone interested should head to www.67games.org to find out more. How can non game developers get involved with the local gaming scene if they want to help?We really think anyone can make games, and that non-game develpers sometimes have the best ideas for them. 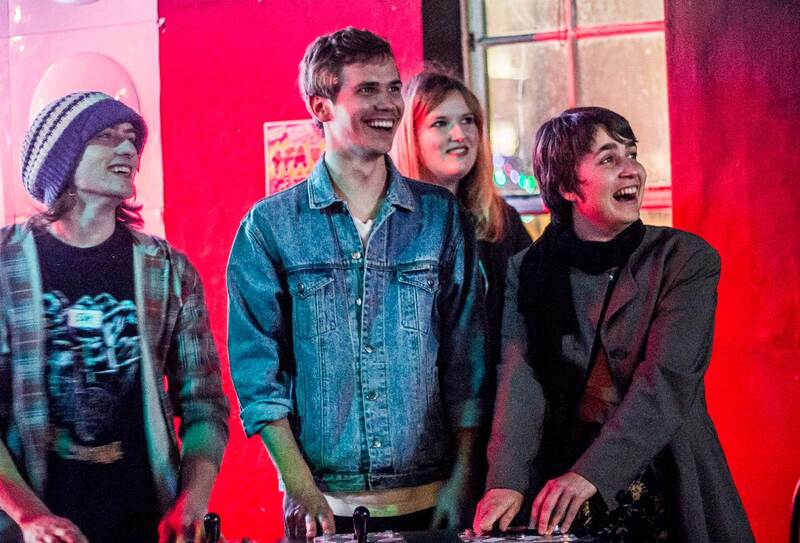 I’d suggest people find us on Facebook – we regularly have jams and love new friends. 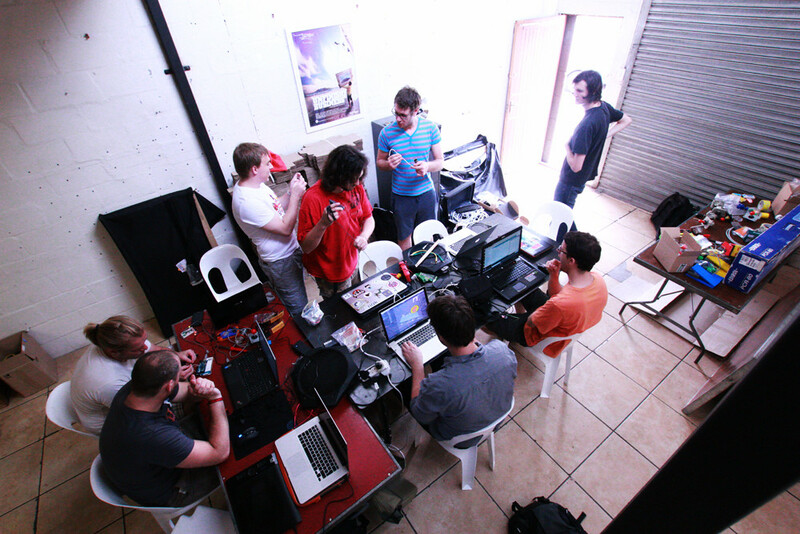 I’d also recommend joining the big south african games making forum – makegamessa.com – which is a great focal point for the community at large. 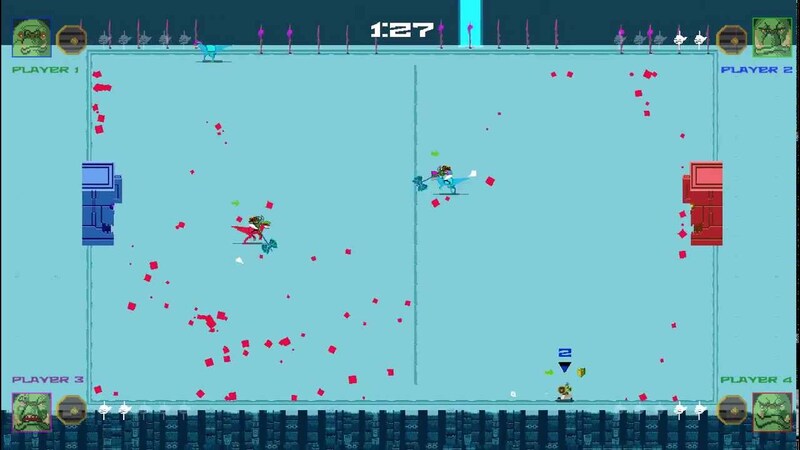 What are some of the games you’ll be sharing with us at the opening of the Next Level Bar?We’ve got a pretty great selection of games lined up!Go Nutz is a glitch punk sports game, made by our Bellgian friend Joon. Elbow Room is a super fast, 8 player party game by our Philadelphian pals Deep Dark Hole. 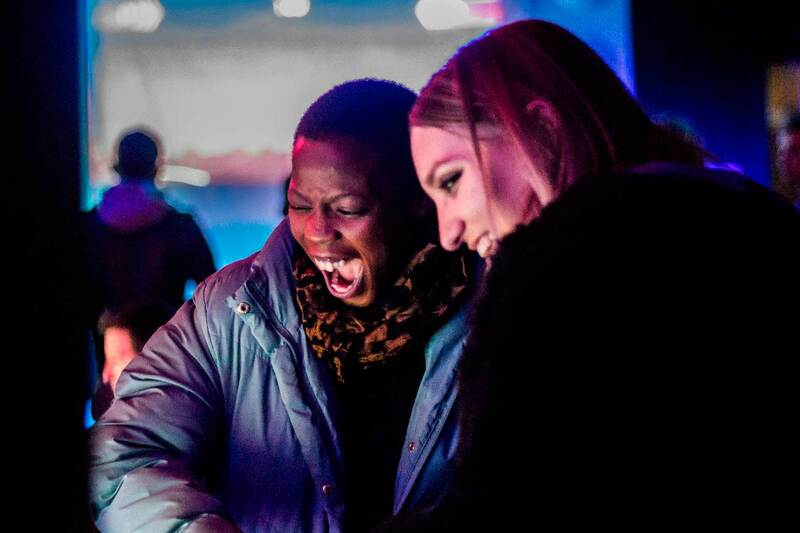 We’re very excited to be brining Line Wobbler back to Joburg with us! We have a bunch of great local games, including Super Massive Crate Dash, Criquette, Cowbell vs Triangle Hero and Joburg’s own homegrown favourite, Raptor Polo. What lies ahead for SSA? What’s the dream?There are a lot of dreams! We have a bunch of tech-based fantasies, that this time last year seemed impossible. Now, with SSA on the cards, they feel pretty close within reach. We want to keep bringing people new experiences. We want to keep pushing boundaries and exceeding expectations. 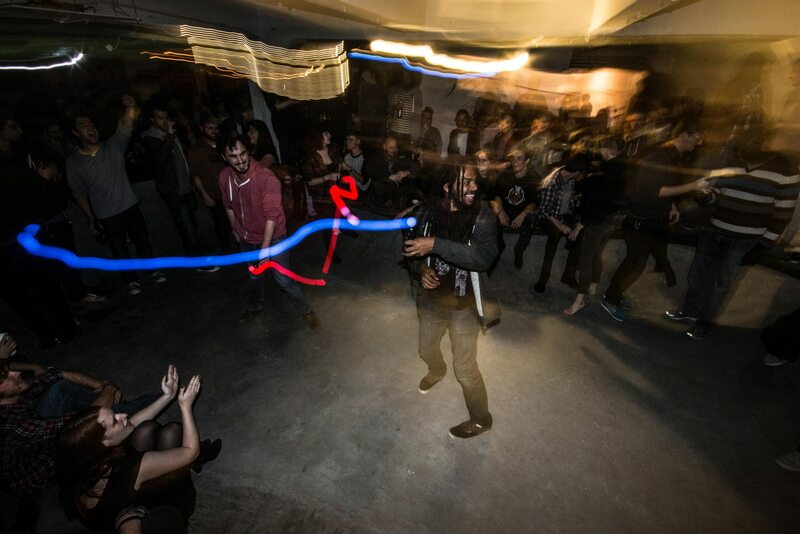 We want to throw parties where every single person is involved in a one massive game.We want to help expose experimental South African games. We want to act as champions for the wonderful things people are making,. We want to take this circus on the road. Beyond that, we dream of giving creatives the time and energy to make their own dreams come true. One game at a time. ← Philly Dev Night talk!